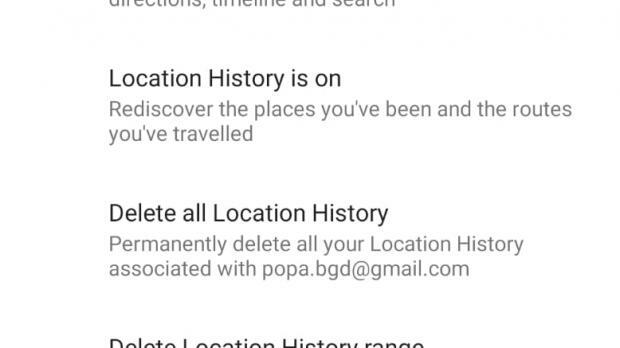 A future Google Maps update will include new functionality to automatically remove location history if you want it to. At this point, Google Maps keeps track of your location for increased convenience, as you can just look into your history to easily navigate to a specific destination. As a heavy Google Maps user, I can confirm this feature comes in super-handy especially when using the app behind the wheel because you can easily set the GPS to a previous location much faster. However, there are users who consider this a privacy issue and want their location history removed from the app. Google Maps already allows them to do this manually, but in a future update, the application will be able to do the whole thing on its own. At this point, there are no details as to how this feature can be further configured, such as when to remove the data, but 9to5google discovered an early implementation in version 10.10 beta. Of course, it’s also worth noting the feature is still in development stage, so just don’t hold your breath for the official launch.Other new featuresAdditionally, Google Maps will be able to provide recommendations based on your personal events. Of course, this means the app would have to look into your calendar and reservations in Gmail, but if any specific location is mentioned in entries you made in these apps, Google Maps can automatically provide you navigation instructions to the destination. Obviously, you will be allowed to disable personal events in Google Maps, but it remains to be seen how this feature is going to work and how many people will just keep it enabled. Navigation legs will also come to Google Maps in a future update, but details in this regard are still vague, so we can’t tell for sure how the application will determine when a specific journey starts or ends.